Painting metal surfaces can be tricky business. Depending on your environment, they can crack, peel, erode, or scratch very easily. 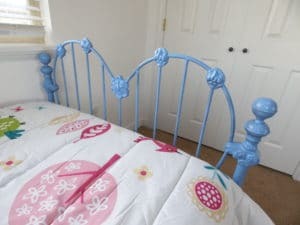 However, painting metal can give your house a completely new look, completely transform patio furniture, or give your son’s a bike a brand new look for his little sister. Most metals are galvanized, which means they require some treatment in order for the paint to successfully stick to the surface. Whether you’re painting railings, columns, vents, or decorative metal, the process is the same. First, use a wire brush or scuff pad to remove rust and clean the surface completely. 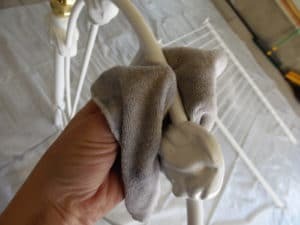 Then use detergent to remove any oily residue. Most metal paints will advertise that no priming is necessary. This may be true, but I would recommend priming just to be on the safe side. 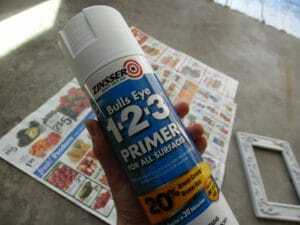 Chances are, whether you’re painting the exterior of your home, toys, or furniture, it is going to get a lot of wear and tear, especially if it is outside throughout the year, so take the time to give yourself the best possible results with a primer. Look for a paint specifically designed for metal surfaces. Metal paint is available spray paint or liquid application. 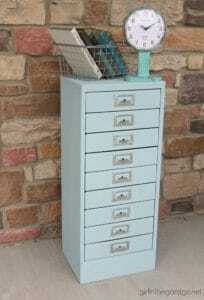 Typically, we use a latex paint for wood and fabric projects, but metal is a horse of a different color. Either latex or oil-based paints will adhere to metal, but they both have their pros and cons. Latex paint will dry faster, but also chip more easily. Oil-based paint may take much longer to drive, but will not chip. However, oil-based paint will fade more quickly, requiring more upkeep. Most experts agree that oil-based paint is typically a better option for metal because it is more durable and resistant to chips and marks. Go for a glossy finish for painting anything that will be washed frequently. 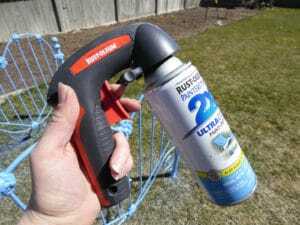 For any big job, use this helpful spray paint handle. It will save your finger, and you will love me. I use mine all the time, best $6 spent! 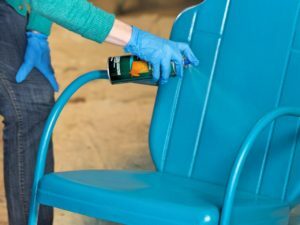 Now you’re armed and ready to transform any boring old metal surface into a modern, colorful piece you can be proud of! Which Paint Sheen should you Use? You can find them on Amazon, so hopefully they will ship to you. It is called a spray grip. Rust-Oleum is the brand I use. Good luck!